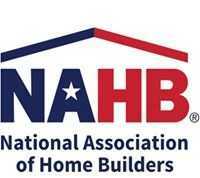 Glen Allen, VA, August 28, 2017 – (RealEstateRama) — The National Association of the Remodeling Industry (NARI) launched an industry-changing Accreditation program. As the first of its kind, the NARI Accredited Remodeling Company (ARC) program was created to support both consumers and remodelers. 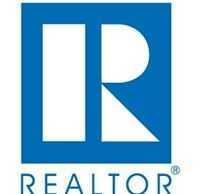 Consumers desperately need a remodeling contractor they can trust to update their homes. 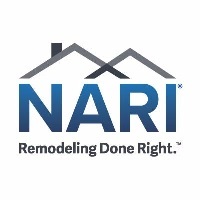 NARI remodelers need a program that supports remodeling companies in the continuous improvement of their business following best practices and elevating the level of professionalism throughout the nation. In order to be considered for this recognition NARI accredited companies must demonstrate how they meet a set of higher industry standards determined by a third-party, the NARI Accreditation Board. Leo Lantz Construction, Inc. is one of a handful companies nationwide to have achieved this great recognition. They can display this badge of honor of accreditation having demonstrated a proven track record of sound business and operations practices, a commitment to professional development along with employees with specialized or Top Tier credentials such as: Master Certified Remodeler (MCR), Certified Remodeler (CR), Certified Kitchen and Bath Remodeler (CKBR). Getting accredited sets them apart from their competition. “The ARC application process provided an independent third party business review process that allowed us to evaluate our entire business model. We were able to implement positive changes and upgrades in our systems to provide an even more positive experience for our clients” said Leo Lantz. NARI is proud to have members like Leo Lantz Construction, Inc. who have elevated their remodeling company standards to support creating better, not necessarily bigger, companies. The focus is quality you can trust. The Accreditation makes shopping for a contractor as easy as deciding to remodel your home. The ARC logo signifies a hallmark of excellence. The NARI Accreditation program is another way that NARI members demonstrate and execute on the promise: Remodeling Done Right™. NARI brings its core purpose: to advance and promote the remolding industry’s professionalism, products and vital public purpose to life with this new program. Visit nari.org/ARC to learn more about how to get accredited or www.LeoLantz.com to hire Leo Lantz Construction, Inc.
About Company: Leo Lantz Construction, Inc. is a residential design build remodel company serving the Greater Metro Richmond, VA area. The company offers 3D CAD design and remodeling services for kitchens and bathrooms. They are also a Pella Preferred Contractor for windows and doors. The company has been voted The BEST Remodeling Company by the Richmond Times Dispatch readers for 2015 & 2016. Keywords: NARI, National Association of the Remodeling Industry, Remodeling Accreditation, ARC, Accredited Remodeling Company, Remodeling Done Right.